Volvo has been chosen as one of the finalists in the ‘big businesses’ category for the Swedish business community’s most prestigious energy award, the E-Prize 2015. This is the seventh year that E.ON has joined forces with Swedish business magazine Veckans Affärer to organise Sweden’s top energy efficiency award, the E-Prize. The E-Prize is the Swedish business community’s most prestigious energy award and it recognises companies in Sweden that have excelled in their approach to saving energy and thus contributed to a more sustainable Sweden. ÅF has assisted Volvo CC with energy audits of Volvo Torslanda, Gent and Olofström. The assignment has continued in that we have project managed ongoing energy-saving projects at the Torslanda plant and Olofström. This strategic work has enabled Volvo to implement major savings over the six years that the projects have been running. 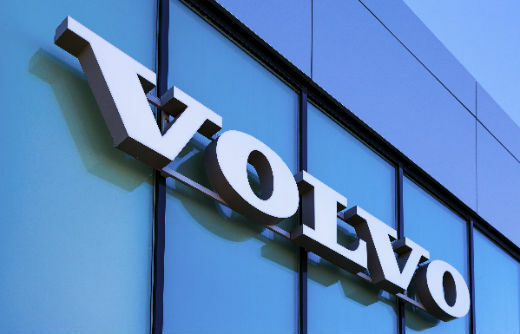 As part of this energy-saving work Volvo is now carrying out the most innovative project throughout the entire period – the Recirculation Project at the paintshop in Torslanda, TB. In addition to reducing emissions of environmentally hazardous substances, the project will also cut energy costs by SEK 7,500,000 annually. ÅF formulated and wrote Volvo CC’s nomination for the E-Prize 2015, and following the selection process, Volvo is one of three nominated in the ‘big businesses’ category. The E-Prize will be presented on 13 October at Veckans Affärer’s major sustainability seminar, Sustainable Business, at the Grand Hotel in Stockholm.